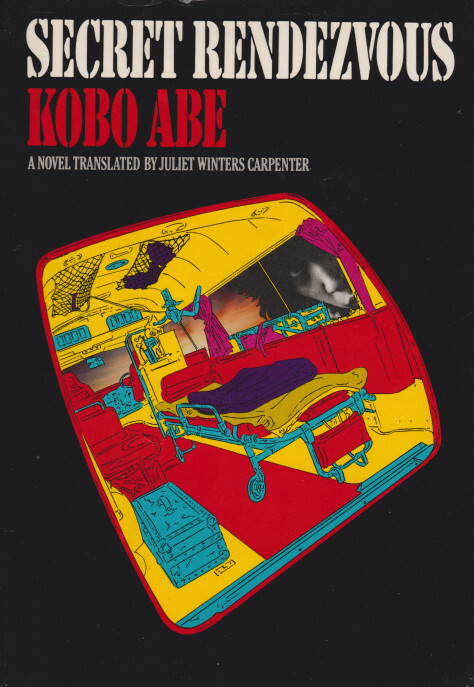 In Kobo Abe’s Secret Rendezvous (1977, trans. 1979) the hospital lies like a recumbent body, leaking fluids through its membranes and undefined in its expansiveness, across the urban landscape. Within its labyrinthine interior, humans (agents of “disease”) animate various functions of the hospital for their own purposes–some sinister, some scientific, some sinisterly scientific. The hospital body lurches and vibrates with the sounds of its doctors and orderlies as they rewire the building’s organs and nerves in order to experiment on themselves and their patients. Within this veritable entity lacking a functional guiding agent, a harrowing, existential, and surreal Freudian mystery unfolds.